Regarding your editorial "Iran's Nuclear Masters" (May 28th): It is highly unfortunate that The Wall Street Journal has opted to choose the Mujahedeen-e Khalq, a known terrorist group which until recently had been listed as a terrorist group in the U.S., and still is in many other places around the world, as its main source of information. This has resulted the aforementioned article to become an unfounded set of allegations against the exclusively peaceful nuclear program of Iran. Such fabrications only serve as means to derail the ongoing talks between Iran and P5+1 as well as ongoing cooperation of Iran with the International Atomic Energy Agency to resolve this issue in a comprehensive manner. Kudos for your editorial on the Islamic Republic's nuclear-weaponization program! As a former member of the senior staff of the Reagan National Security Council and a scholar of Iranian dissidents, I follow Tehran's nuclear cheating closely. The editorial uses information from the International Atomic Energy Agency (IAEA); the Institute for Science and International Security (ISIS); and the National Council of Resistance of Iran, the Iranian opposition group also known as MEK, which has done much to expose the mullahs' nuclear-weapons program in the past. 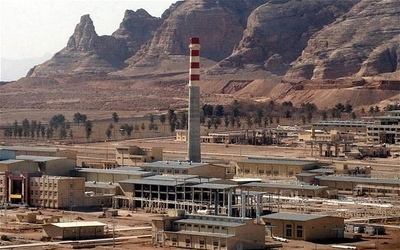 "The National Council of Resistance of Iran (NCRI) revelations about Iran's secret nuclear program did prove to be the trigger point in inviting the IAEA into Tehran for inspections," the Center for Strategic and International Studies declared in a 2006 report (though the report questioned some aspects of those revelations).